Jessica Turner, blogger, Target shopper, super cool mom and All Things Target reader has published a book for us women called The Fringe Hours: Making Time for You and it is available at Target.com. Woo Hoo! 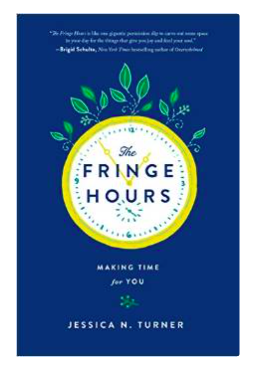 The Fringe Hours encourages women to find time during the day to do something special for themselves. I don’t know about you, but shopping at Target child-free recharges my batteries! Jessica helps us find time during our busy days to make sure we are taking care of ourselves too. Can you relate to this?